Taking cues from the F18 Hornet and other fighter planes, the VMP Performance Track Attack 2017 Mustang was built to fly in The SEMA Show in Las Vegas this week and showcase the brand-new VMP Gen2R TVS supercharger that’s just under that clear window on the hood. This week in Las Vegas thousands of cars and companies look to stand out from the crowd at The SEMA Show. 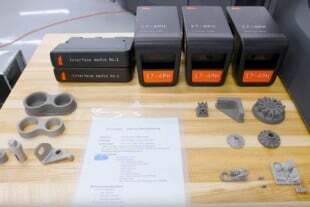 As the automotive aftermarket convenes to show off its latest wares the real stars of the show are the cars built with these products. Among those cars is the Track Attack 2017 Mustang created by VMP Performance to fly over the crowd. 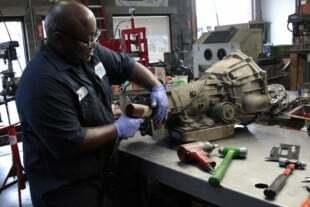 Each year Ford Motor Company supports a handful of aftermarket companies with new vehicles to customize specifically for this show. 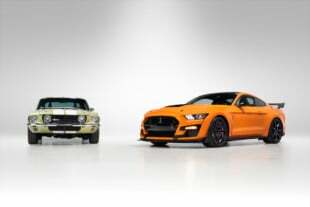 For 2016, Ford spread out F-150s, Fusions, Focus, Fiestas and, of course, several Mustangs. 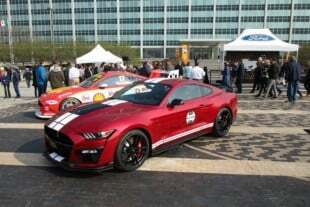 VMP applied for one of these cars and was selected based on the strength of its Track Attack proposal. Who knew 851 horsepower and 703 lb-ft of torque could look so stock? With just the addition of a VMP Stage3 supercharger kit, which includes the new Gen2R TVS supercharger and all the supporting hardware, this stock engine belts out that power. Of course the Dynatech/Cervini’s exhaust and custom calibration are part of the equation, but all together they deliver huge power that is easy to drive. 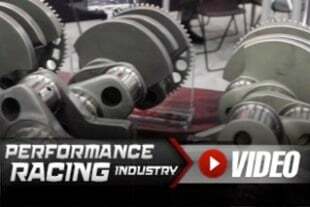 “One of the first things I said in the little narrative on the Ford application was ‘We are going to give you a reason for the speedometer to say Ground Speed,’” BJ McCarty, General Manager at VMP Performance, said. The reason the speedo is emblazoned with those words is that designer Doyle Letson called on the aerospace world as an inspiration for designing the latest Mustang’s cockpit-style interior. The VMP project takes that concept sky high, as BJ looked to US warplanes for inspiration. In back the Cervini’s rear wing and exhaust deletes finish out the look that also includes the company’s side exhaust side skirts and front splitter. The fighter-plane inspired livery is part of a theme designed to pay homage to the US military. A key part of giving the car its fighter plane personality was the paint scheme. VMP had hoped to score an Avalanche Gray Mustang, but just missed the production cutoff for this color. They settled for a black 2017 Mustang and had it repainted in the desired color. While gray was important to give it the Mustang an airplane look, BJ knew it had to have a proper livery—and nose art. It had to have nose art. While trying to settle on this crucial imagery, Rebecca Starkey, noted racer and wife of VMP president Justin Starkey, was struck by inspiration. She sketched a patriotic lady sitting on a bomb and it fit. All they needed was someone to paint it, so they entrusted Chris Cruz of Chris Cruz Artistry in Deland, Florida to do it justice. 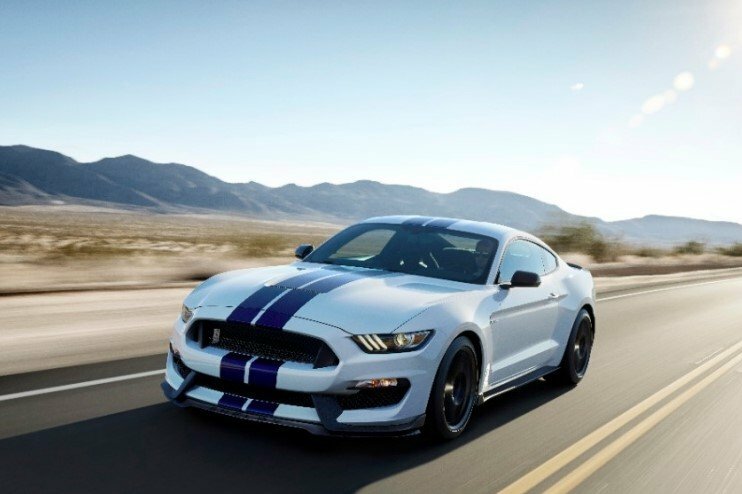 The custom-upholstered GT350R seats, Simpson harness belts and dual Aeroforce gauges further the aerospace them inside the VMP Track Attack Mustang. Ford designers drew on the aerospace world for inspiration when designing the S550 interior, so this project is an extension of that aesthetic. Of course, before the car could be painted the VMP team had to imbue this S550 with the fighter plane vibe with some carefully selected modifications. 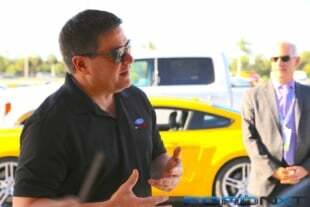 Ford links its SEMA project partners with mentors. In VMP’s case they worked with Ford Motor Company Design Manager, Garen Nicoghosian, who was a lead designer on the Ford GT. He grabbed the stick and steered the Track Attack to a cleaner look and inspired one of its most unique features. 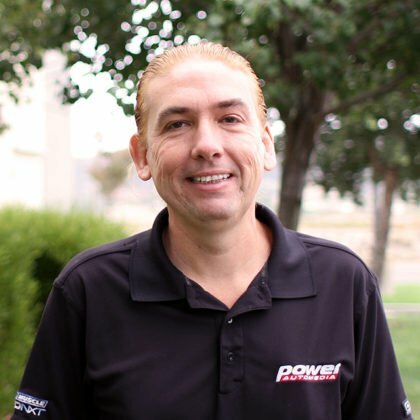 VMP Performance’s BJ McCarty acted as the project manager for the Track Attack build. He wanted to create a Mustang that looked fast and aggressive sitting still. He and the VMP team definitely pulled that off, but it looks really fast rolling down the road and its side-exit exhaust note even exudes the personality of discharging weapon. The aforementioned exhaust not only delivers an aggressive sound, but enough flow to support over 850 horsepower. Better yet it does so through high-flow cats and mufflers that exit at these stylish tips in front of the rear wheel well. Like all the other art on this car, the hot exhaust warning is painted on. There are no vinyl decals on the VMP Mustang. 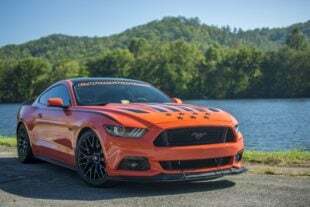 VMP had already turned Cervini’s Auto Designs for several of the company’s S550 styling enhancements, including its splitter, side skirts, side exhaust, rear wing and rear valance exhaust deletes. So, it was only natural they asked the Cervini team to work a little SEMA miracle. Creating a one-of-a-kind hood that fused Ford parts, fiberglass and a clear window to show off that new blower. The blower on the other side of that window is what makes it really cool. 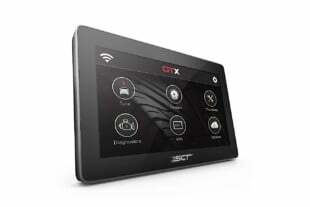 It pushes the stock Coyote 5.0 engine beyond 850 horsepower and 700 lb-ft of torque. If you are familiar with VMP’s Gen2 series of TVS superchargers, these 2.3-liter blowers feature a flow-enhanced inlet that provides better airflow to the efficient Eaton rotors inside the case. 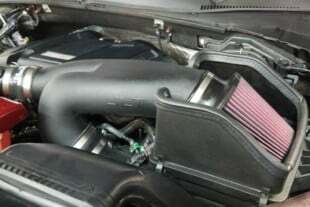 Positive-displacement superchargers like the Twin Vortices Series thrive on a free-flowing inlet and the Gen2R takes the inlet flow a step further. We’ll have complete details on the VMP Gen2R supercharger in the near future, but suffice it to say it will allow the owner of any Coyote 5.0 to bolt-on some serious thrust. If you want your new Mustang to look like the VMP Track Attack ’Stang, however, that’s going to take a more dedicated plan of attack. You probably know of Rebecca Starkey as the driver of a quick NMRA Coyote Modified racer, but she is also the wife of VMP President Justin Starkey. One day inspiration struck and Rebecca sketched the lady that became the nose art on VMP’s fighter-plane themed Track Attack Mustang. The directional Forgestar F10D wheels hit at a jet’s turbofan, while the meaty Michelin Pilot Sport Cup 2 tires provide ample grip for take off and maneuvers. 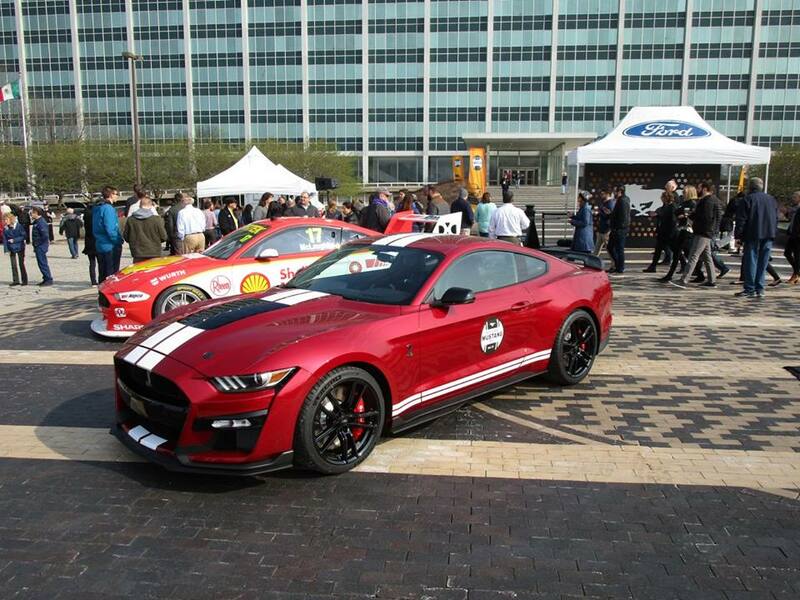 “These seats are Shelby GT350R seats provided by Ford. We did what any good performance shop would do. We got them and immediately ripped them to shreds because we thought we could do something cooler,” BJ explained. “We took the entire middle out of the Recaros to add logo callouts on the headrests; pilot and co-pilot callouts on the headrests; and then used a suede all the way down the kind of makes you feel like you are in a Lightning or an ’03-’04 Cobra.” Pilot an co-pilot are held safe in the seats by Simpson harness belts mounted to a Brey-Krause R-1180 harness bar mounted right in front of a Shrader Performance rear-seat delete. The two Aeroforce gauges provide all the data the pilot needs and the GT350 steering wheel is a huge improvement in comfort over the standard Mustang GT wheel.